MSRP: $29,940.00Dealer Discounts: $5,000.00 Dealer Discount of $5,000.00 has been applied. 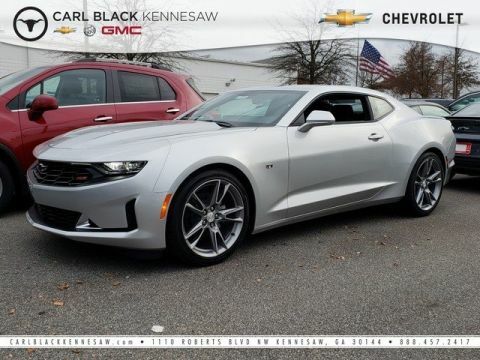 Price and special offer are subject to change The 2019 Chevrolet Camaro puts the thrill in every ride. 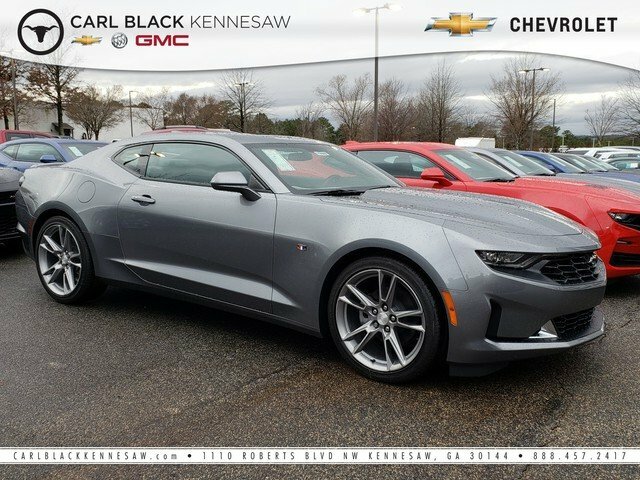 With taller, newly sculpted hoods, boldly reimagined grilles, piercing new LED headlamps, it’s clear that the Camaro was designed with performance in mind. New heritage-inspired round taillamps create an unforgettable signature. 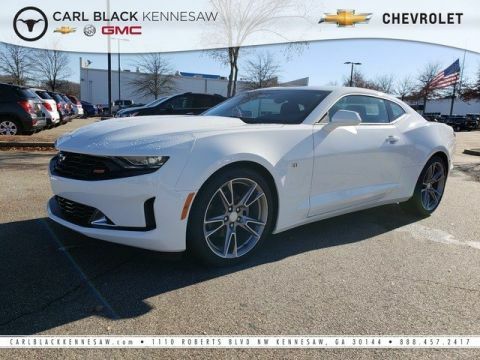 Every Camaro features a refined cockpit optimized for performance driving. Consider the aggressive seat bolsters, leather-wrapped flat-bottom steering wheel and exceptional ergonomics for shifting. 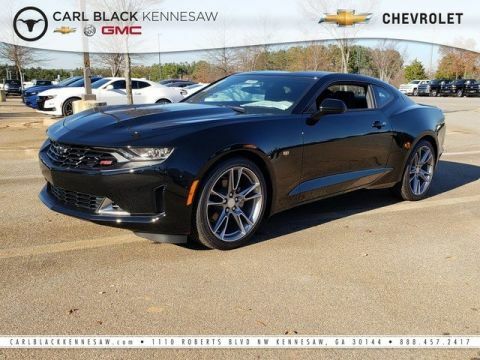 Under the hood, four ferocious powertrain options help the Camaro dominate the road without sacrificing efficiency – 2.0L turbo, 3.6L V6, 6.2L LT1 V8 and 6.2L LT4 V8 with its ability to go from 0-60 in 3.5 seconds – while a range of transmission options gets your gears going. Available Magnetic Ride Control technology reads the road and changes damping in just 10 to 15 milliseconds. Customize your driving experience with the Driver Mode Selector, which lets you choose between Sport, Tour, Snow/Ice and Track. Available Launch Control allows you to adjust your launch rpm and wheel slippage, keeping your rear tires spinning at just the right speed for optimized acceleration off the line, while available Performance Data Recorder records video of your drive and real-time performance data to analyze your technique and improve your driving abilities. Connects to more than just the road, with technology features including a standard 7in touchscreen, available 8in instrument cluster, head-up display, Apple CarPlay and Android Auto compatibility, available navigation, Wi-Fi hotspot and SiriusXM radio. You’ll also find a comprehensive suite of safety features such as forward collision alert, rear vision camera, rear park assist, lane change alert with side blind zone alert and rear cross traffic alert.